This heat has definitely made me a Starbucks fan. Everyday I find myself going there to buy a shaken green iced tea, and since I’m there, I pick up a treat–their flourless, gluten free, chocolate cookie. It’s probably the healthiest treat option in their refrigerated showcase, and my daughter and I love it. However, this afternoon tea and cookie thing is getting expensive, at $5 a day–$7 when we indulge at Disney–it’s getting a bit out of control. I love treating myself, but I hate mindless spending too. I’d much rather spend that $200/month on a new kitchen gadget–like a Searzall, or a chamber vacuum sealer to go along with the new immersion circulator that my husband got me for Mother’s Day. So what’s a girl to do? Buy a box of organic green mint tea, and make the meringue cookies myself, of course! 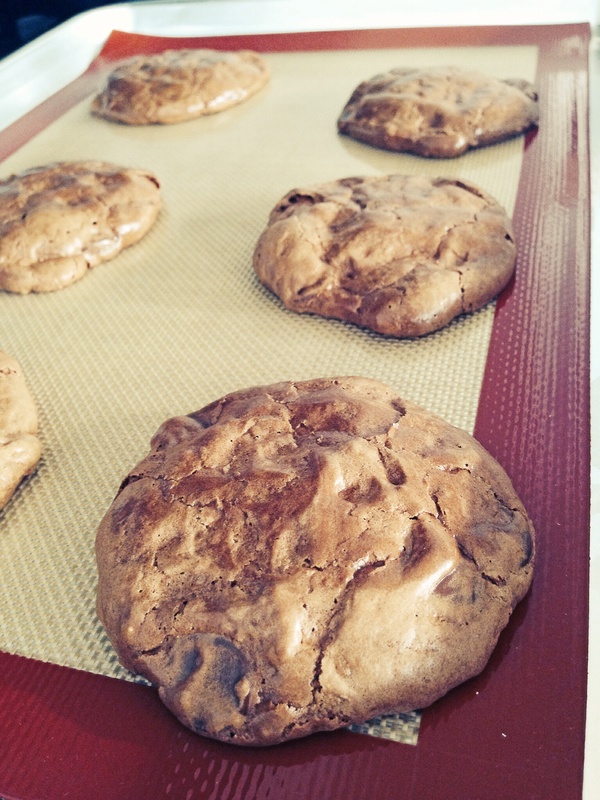 The best thing about these cookies is that besides the cream of tar tar, I already had all of the ingredients. 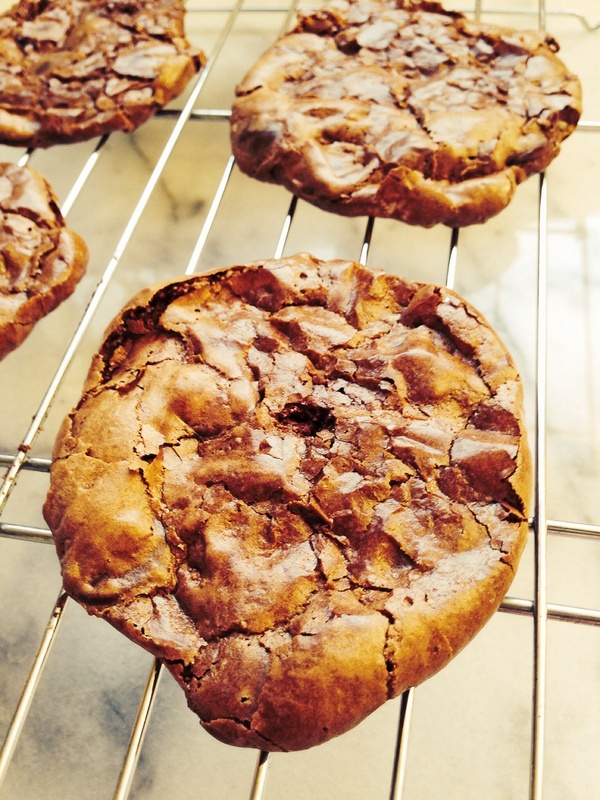 These cookies are chewy, gooey and light all at the same time–just like the Starbucks cookies, but unlike the Starbucks version, these contain no added oil, so they are super low-fat, low-calorie and gluten free! Score!!! Directions: Pre-heat the oven to 375. 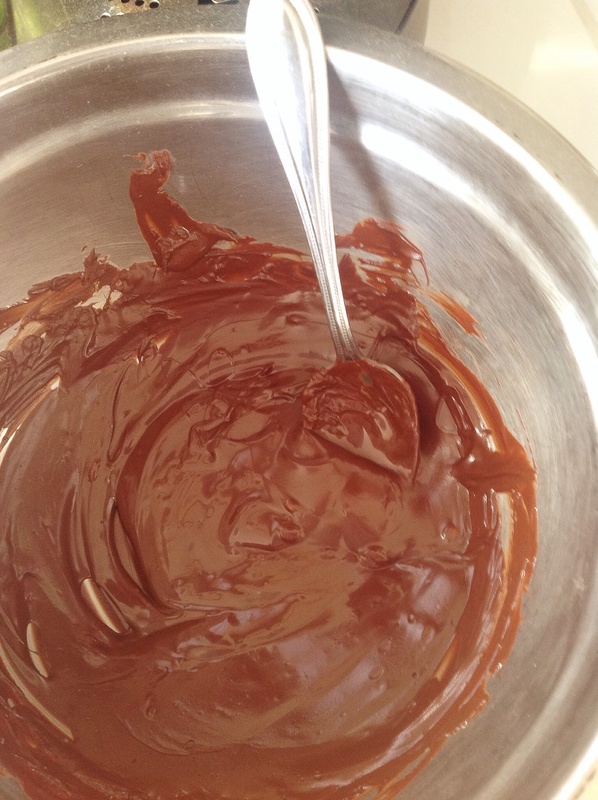 Melt the 5 ounces of chocolate in a double boiler and set aside. 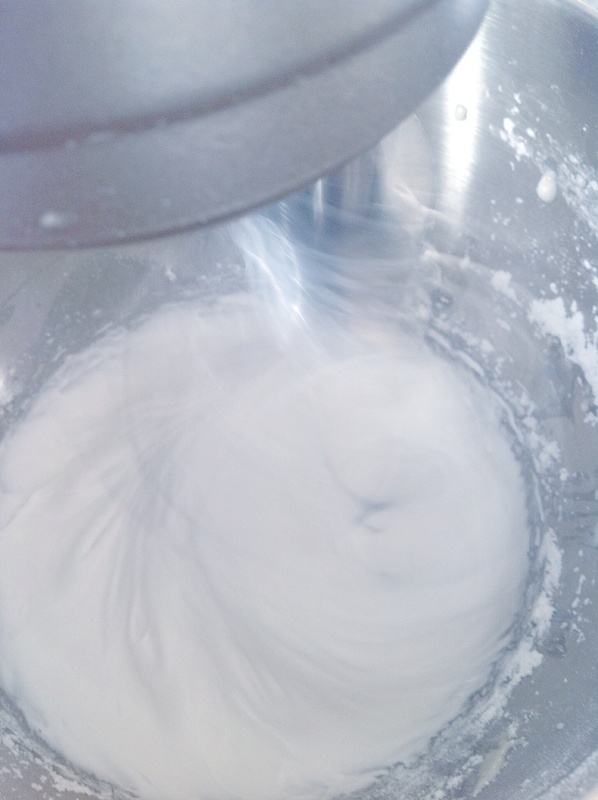 Add the two egg whites to a stainless steel bowl and beat on low until bubbles form, add the cream of tar tar and beat on high, add in the sugar one tablespoon at a time, and beat until peaks are stiff and fluffy—- you can turn the bowl upside down with out the mixture running. 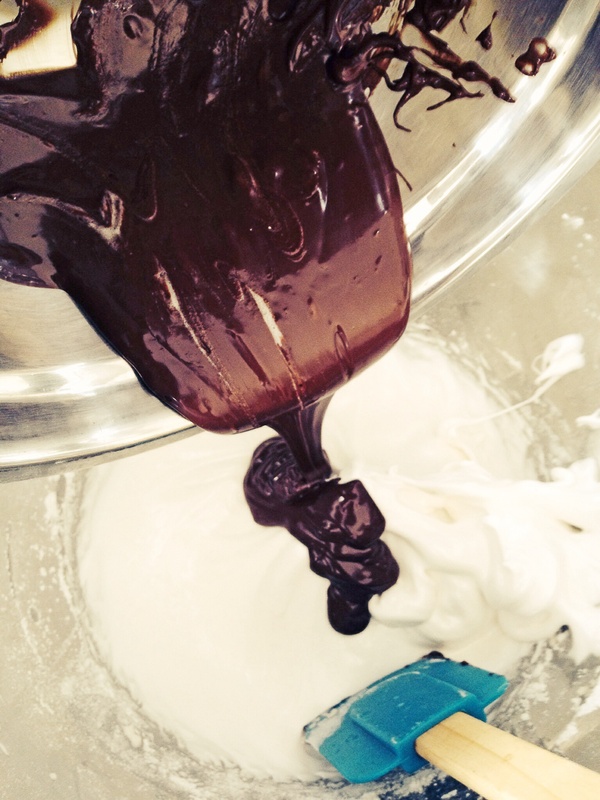 Pour in the melted chocolate and fold it into the egg white fluff–be gentle– fold until the white streaks disappear. 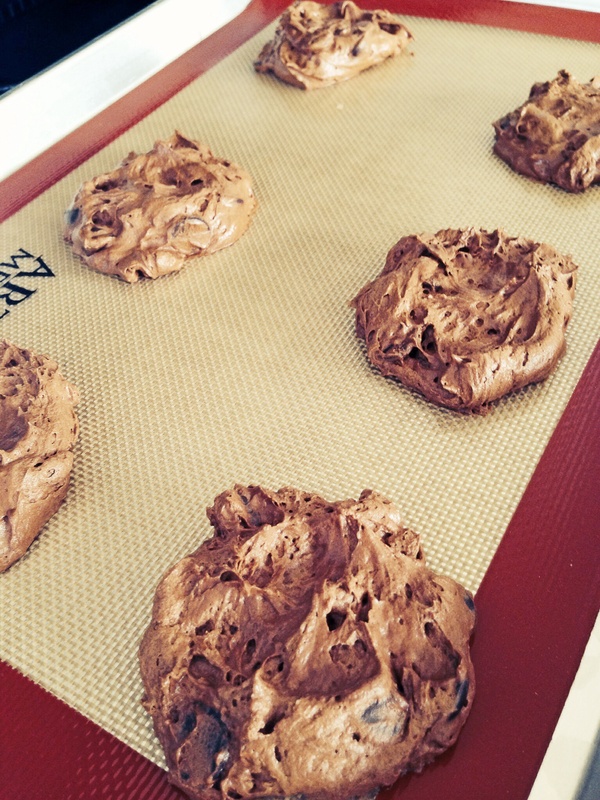 Fold in the chocolate chips, then spoon onto a parchment lined cookie sheet. 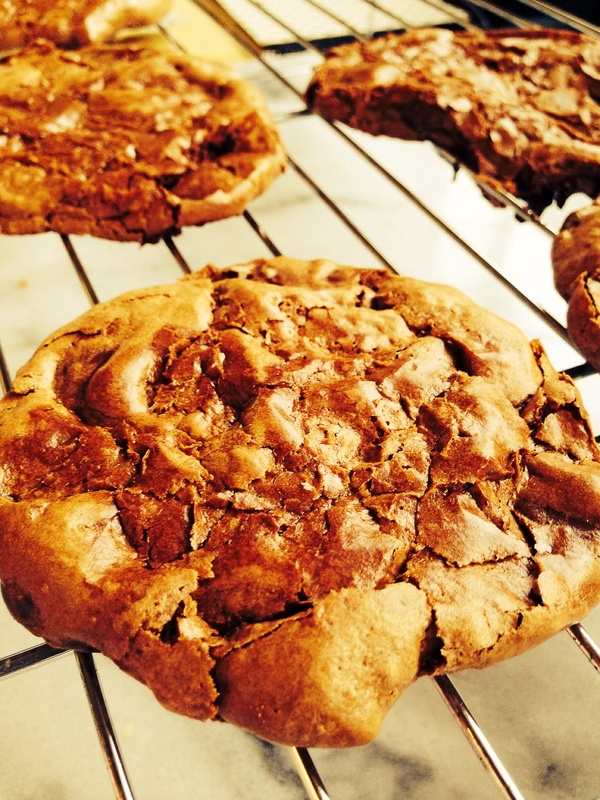 Bake for 10-12 minutes, the cookies should be soft and pliable. Let them cool for 10 minutes, then move them to a cookie rack to continue cooling 5-7 minutes. Serve and enjoy with an ice cold glass of mint ice tea;-) Share with me some of your favorite afternoon snacks. This entry was posted in dinner, Food, Food blog, gluten free, Healthy Whole Food Blog, low calorie, low carb, paleo, quick fix meals, recipes and tagged dessert, flourless cookie, Flourless desserts, gluten free dessert, healthy desserts, healthy snacks, low-carb dessert, low-fat desserts, meringue, meringue cookies, paleo desserts, snacks, vegetarian, vegetarian desserts. Bookmark the permalink.